Gov. Bruce Rauner gives a thumbs up after his first speech as governor on Jan. 12, 2015, at the Prairie Capital Convention Center in Springfield, Ill. Rauner said he is not sure whether he will veto an abortion bill, and his indecision has made state Democrats hopeful. State Democrats who represent Evanston are frustrated with Gov. Bruce Rauner’s indecision on vetoing an abortion bill, but are hopeful it will pass. In April, Rauner expressed his intention to veto the bill, which safeguards and ensures access to legal and safe abortions in Illinois, even if the U.S. Supreme Court was to overturn its ruling in Roe v. Wade. The bill would also repeal provisions that limit health care options for women who receive coverage under Medicaid and in-state worker health plans. In 2014, Rauner campaigned with an acknowledged support for abortion rights, according to the Chicago Tribune. With re-election nearing, Rauner has backed away from his promise to make a firm veto on the bill and now “hasn’t made up his mind” on what to do. State Sen. Heather Steans (D-Chicago), whose 7th District reaches into the southern part of Evanston, said she is “heartened” by the governor’s change in opinion in a Monday news release. State Sen. Daniel Biss (D-Evanston), who co-sponsored the abortion bill, expressed his irritation with Rauner’s sudden wavering opinion in a Monday news release. Biss joined Steans in calling for Rauner to sign the bill. 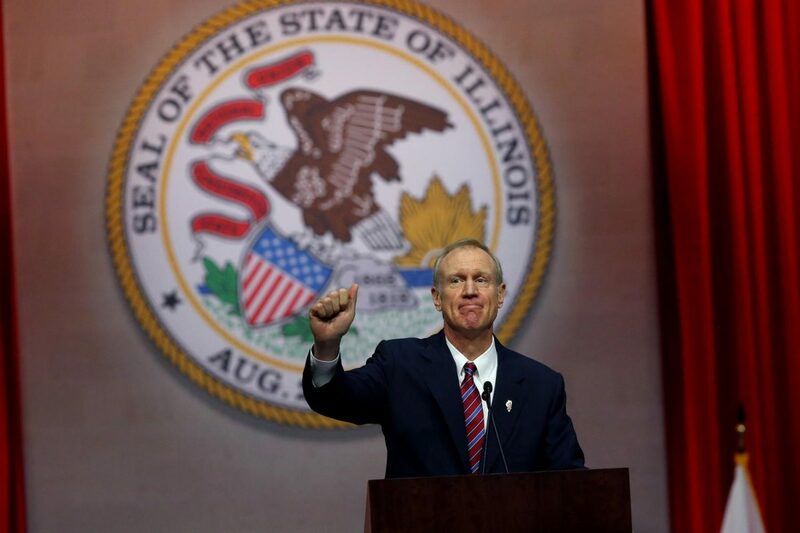 Rauner, who is widely viewed as one of the most vulnerable governors in the nation in the 2018 election cycle, according to Politico, has 60 days to act on the bill.